Do you remember growing up with a dollhouse and all the hours you’d spend in front it, creating stories and lives for the characters living inside of it? 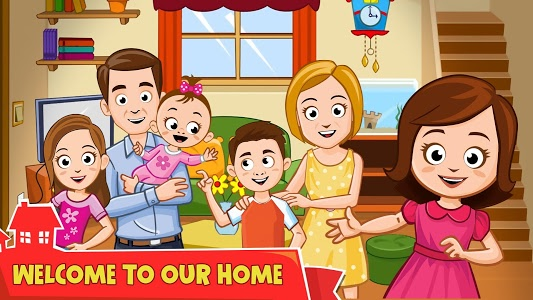 Now you can share the joy you felt as a child with your own children with My Town : Home! 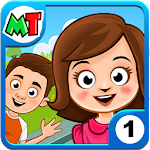 My Town : Home is your NEW digital dollhouse. There are hours of adventures ahead every time you open up the app. You can touch and interact with almost every item you see. 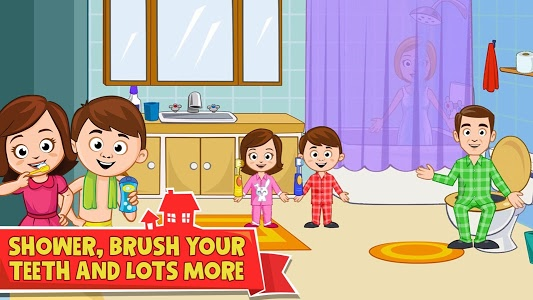 Start the day by waking up your favorite character, then get them ready for the day by taking a shower, brushing their teeth and picking out their clothes for the day. They can then go into the kitchen and treat themselves to their favorite breakfast! 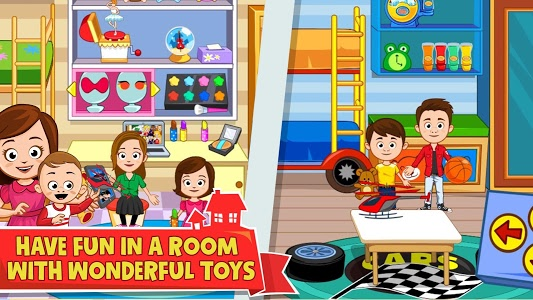 Children can use their creativity and imagination in so many different ways as they explore the 6 rooms of the house. The only limit in My Town is your imagination! *6 highly detailed rooms including a living room (where you can actually turn on the tv! 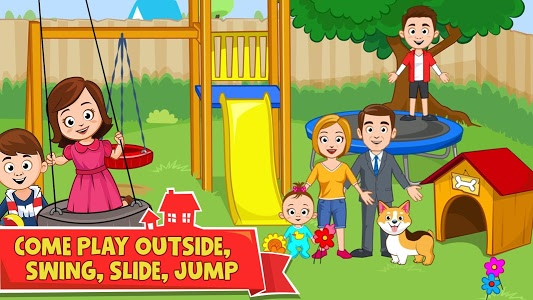 ), kitchen, parents room, kids room with SO many fun outfits to dress up in, bathroom and back yard with a swing set, tire swing and even a slide! 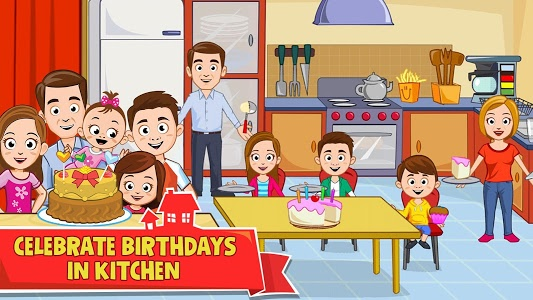 *Many characters to choose from, including a mom, dad and six children aged 2-13. *No rules means no stress! Just pure open ended play and fun. Similar to "My Town : Home Dollhouse"